DailyDead.com states "Travolta Turns in one of his best performances." 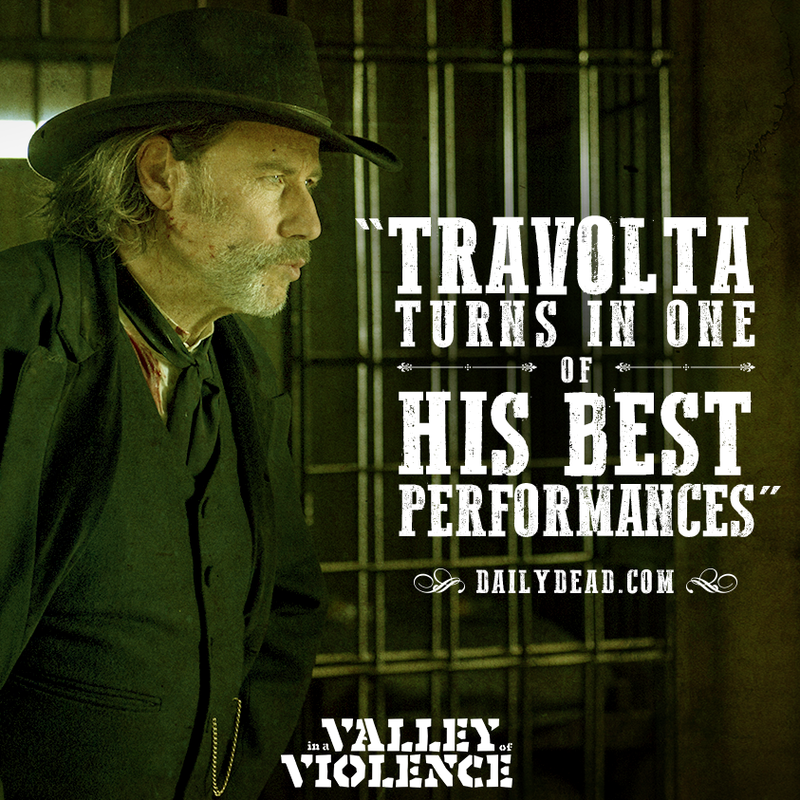 #JohnTravolta delivers a performance that has all the critics talking. In A #ValleyofViolence arrives in theaters October 21.